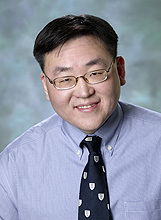 A graduate of Harvard College and the College of Physicians and Surgeons at Columbia University, Dr. Seo completed his Internal Medicine training as a member of the Osler Medical Service at the Johns Hopkins Hospital. 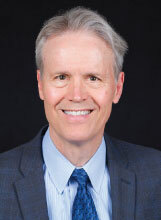 Since then, he has worked at Johns Hopkins in several capacities, including as a hospitalist at Johns Hopkins Bayview Medical Center, and as an Assistant Chief of Service of the Department of Medicine at the Johns Hopkins Hospital, before joining the Division of Rheumatology. His research interests are the assessment and treatment of ANCA-associated vasculitides, including Churg Strauss Syndrome, Wegener’s Granulomatosis, and Microscopic Polyangiitis. 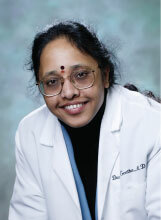 Dr. Geetha is an Associate Professor of Medicine in the Division of Nephrology. A graduate of Madras Medical College, India, she completed Internal Medicine training in U.K. She did her Internal Medicine Residency at York, PA and Nephrology fellowship at Johns Hopkins Bayview Medical Center. She has been on Hopkins faculty since 1998. She is a member of Royal College of Physicians (U.K.), American Society of Nephrology, American Society of Transplantation and a consultant for the vasculitis foundation. 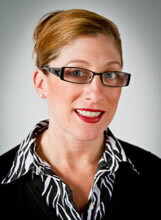 She is a member of the Miller Coulson Academy of Clinical Excellence at Hopkins. Her clinical interests include renal disease in vasculitis patients with a focus on ANCA associated vasculitis and Henoch-Schonlein Purpura. She does clinical and translational research in vasculitis with a focus on ANCA associated vasculitis and renal disease. 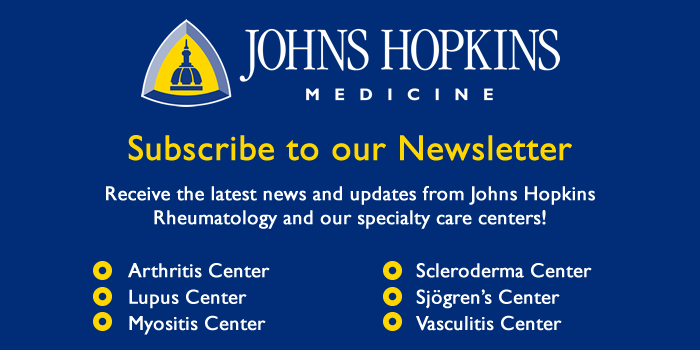 Rebecca L. Manno, MD, MHS is an Assistant Professor of Medicine in the Division of Rheumatology at the Johns Hopkins University in Baltimore, Maryland. She completed her undergraduate degree at Johns Hopkins University and medical school at the University of Maryland. She completed residency training at the University of Maryland and rheumatology fellowship at Johns Hopkins University. She has a clinical and research focus in older patients with inflammatory rheumatic diseases, namely systemic vasculitis and rheumatoid arthritis. Her research is based in the application of resistance exercise for older patients with giant cell arteritis, polymyalgia rheumatica, and ANCA-associated vasculitis to improve body composition, strength, function and decrease inflammation. Dr. Gapud completed both his M.D. and Ph.D. in Molecular Immunology through the Medical Scientist Training Program at Washington University in St. Louis. He subsequently completed his internship and residency in Internal Medicine at Washington University in St. Louis/Barnes Jewish Hospital followed by his fellowship in rheumatology at the John Hopkins University. Dr. Gapud joined the Johns Hopkins School of Medicine Faculty in 2017 and divides his time between seeing patients in the Johns Hopkins Vasculitis Center and conducting molecular immunology research on rheumatic disease mechanisms. 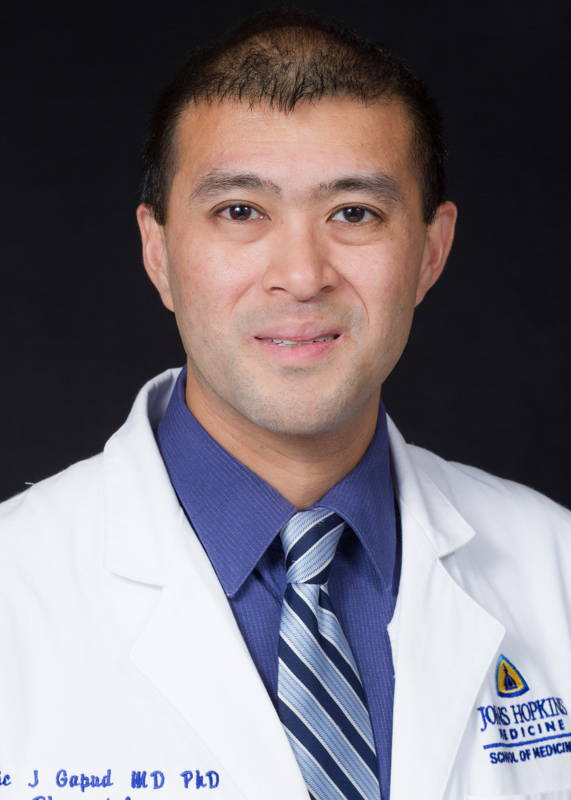 He has interests in mechanisms and patient outcomes for ANCA-associated vasculitis, Giant Cell Arteritis, Behcet’s Disease, and Takayasu Arteritis. In the laboratory, his research is targeted toward understanding the patho-etiologic role of granzymes in autoimmune disease and the effects of these molecular mediators on bystander cells and tissues during normal immune responses. Dr. Hellmann is the Chairman of the Department of Medicine and Vice Dean at The Johns Hopkins Bayview Medical Center, and the Aliki Perroti Professor of Medicine. A graduate of Yale University and Johns Hopkins Medical School, Dr. Hellmann received his Internal Medicine training on the Osler Service at Hopkins, and trained in Rheumatology at the University of California, San Francisco. He has been on the Johns Hopkins faculty since 1986. Our ENT team includes specialists in inflammatory sinus disease, sensorineural hearing loss, and chronic middle ear disease. We are pleased to also have a Doctor of Audiology, Dr. Dinkes, who specializes in inflammatory process on our team as well.